The sister duo’s new LP, ‘Canterbury Girls,’ arrives Feb. 22. Listen to ‘Can’t Help the Way I Feel’ here. Music has long been known to be therapeutic for artists, helping to provide a path to insights about themselves that otherwise might never be traveled. Similarly, listeners can crystalize truths through music. Sometimes, artists can speak to other artists through their creations. And, when the act experiencing that connection is a sister duo, an already deep bond can be fortified even further. 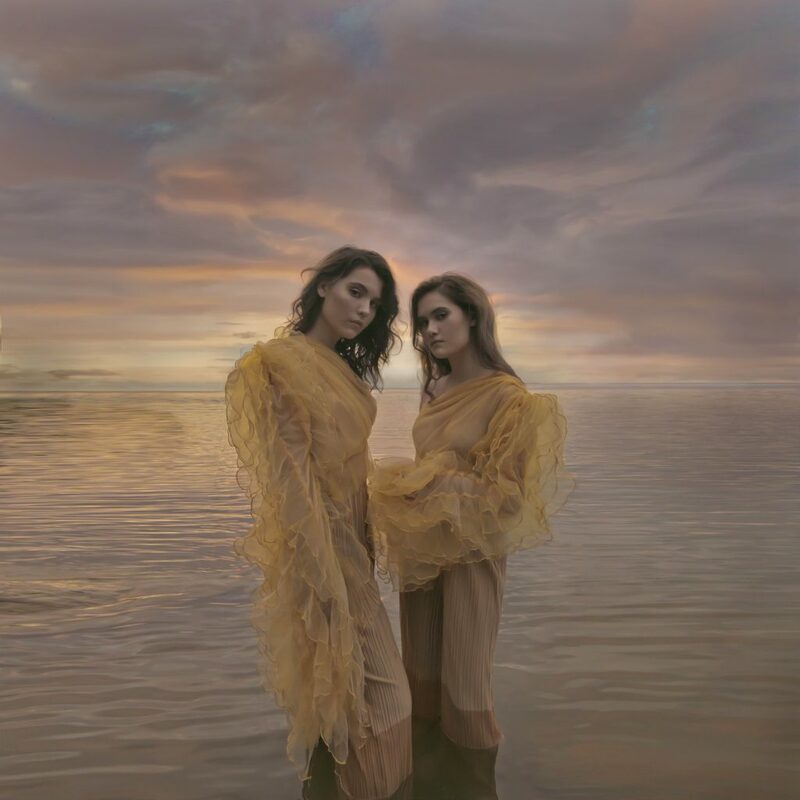 For pop/folk/Americana twosome, and sisters, Lily & Madeleine, music has assisted communication that is sometimes elusive even in the deepest of relationships. “Lily and I are so similar emotionally, and we’ve shared so many experiences, that whenever she’ll bring me a song, I pretty much always know what it’s about. Or, I can relate very viscerally,” says Madeleine (the elder of the pair by two years; the sisters’ shared last name: Jurkiewicz). “I think we find out things about each other. I think we talk to each other through songwriting,” Lily says. Referencing a song from the duo’s fourth LP, Canterbury Girls, due Feb. 22 on New West Records, Lily says, “Something that I told Madeleine in ‘Self Care’ was that she has always been into bubble baths and face masks, and taking time for yourself, and she was in a really terrible relationship two years ago, when I wrote the song. Canterbury Girls follows Lily & Madeleine’s 2013 eponymous set, 2014’s Fumes and 2016’s Keep It Together, all of which reached the top 15 on Billboard’s Americana/Folk Albums chart. The duo’s first two LPs present a fairly pure folk sound, mixing plaintive ballads and jangly uptempo tracks, while Keep It Together expanded to deeper pop production, a style further explored on the new album. Helping helm the latest phase of the tandem’s evolution: co-producers Daniel Tashian and Ian Fitchuk, who co-produced Kacey Musgraves’ Grammy-nominated 2018 album Golden Hour. “We got with them right in time, because they’re going to be in such high demand,” says Lily with a chuckle. Beyond “Self Care,” highlights of Canterbury Girls include the cinematic “Pachinko Song,” the swirling “Supernatural Sadness” and the joyous, Motown-reminiscent “Can’t Help the Way I Feel,” which Billboard is premiering exclusively. On Feb. 18, four days ahead of the release of Canterbury Girls, Lily & Madeleine will begin a February-March tour, including dates at Rough Trade NYC in Brooklyn; Deluxe at Old National Centre in Indianapolis; and Bootleg Theater in Los Angeles. Also during the run: a showcase at the South by Southwest Music Festival in Austin, Texas, in March.